Investing in commercial property and commercial property construction is a great way to make a living that requires a whole lot of responsibility. When you purchase a property whether there is an existing structure or you’re going to have one built, you need to make sure everything is up to code for the tenants. Make sure you are paying close attention to these safety measures. Earthquakes are dangerous phenomena that are undetectable. The only way to prepare for one is to have your building designed in a way that offers ample protection against earthquakes. It needs to be built with strong materials on a sturdy foundation. There should also be strong furniture that people inside can protect themselves under in the event of an earthquake. Earthquake survival kits containing things like first aid supplies and water are also highly desirable. Though earthquakes typically last less than a minute, their intensity can do significant damage. It only takes a flame and something flammable for a fire to spread. With a good alarm and fire suppression system, you can stop fires before they can really do damage. 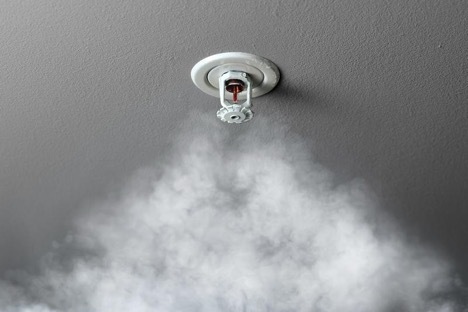 In certain cases where traditional water-based sprinkler systems aren’t an effective means of fire suppression, a special hazard fire suppression system can be utilized to avoid dangerous, damaging, and impractical consequences. Environments such as data centers or healthcare facilities require specialized fire protection systems for the safety of assets and people within an area. People in your buildings should be educated on fire safety, including how to evacuate in a calm manner. For businesses, there should be a diagram detailing how occupants can make their way out of the building. There should be at least one full fire extinguisher that can be easily accessed, more if it’s an especially large building. In the case of a particularly large fire, people need to get out right away and not try to fight it. Electricity is something that should not be taken for granted, both for how useful it is and how dangerous it can be. An electrician needs to inspect any properties you purchase for issues with wiring and fuse boxes. Unprotected wires and water damage to electrical equipment are just a few things that can put people in danger. Everything needs to be wired properly and not overloaded. When you hire an electrician, make sure that they are following all the rules of the Occupational Safety and Help Act (OSHA). Advancements in technology and safety standards mean that people can live and work more comfortably than ever. You need to do your part as a building owner and make sure that everything in your buildings is how it should be. If you aren’t maintaining your properties or proactively developing it properly and protecting them against potential disasters, you might witness them falling apart. For all your commercial construction needs, get in contact with Pride One Construction. We have years of experience and will manage every part of the construction so that you can focus on what’s important to you.